3'x5' polyester flag with white header and two grommets. Most flags have four rows of stitches on the fly and two rows on the top, bottom, and header side. Image is screen printed and appears on both sides. The cross of St. George. The national flag of England since 1348. First recorded use was in Caerlaverock in 1300. 3'x5' polyester flag with white header and two grommets. Most flags have four rows of stitches on the fly and two rows on the top, bottom, and header side. Image is screen printed and appears on both sides. The Union Flag, popularly known as the Union Jack (when at sea). The flag of the United Kingdom since 1801. Combines the crosses of St. George, St. Andrew, and St. Patrick. 5'x8' polyester flag with a white header and two grommets. The image is screen printed and appears on both sides. The Union Flag, popularly known as the Union Jack (when at sea). 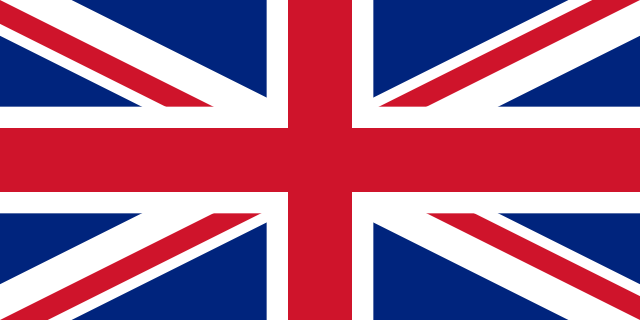 The flag of the United Kingdom since 1801. Combines the crosses of St. George, St. Andrew, and St. Patrick. 3'x5' polyester flag with white header and two grommets. Image is screen printed and appears on both sides. This is the old version of the Union Flag with Crest that is flown at British embassies around the world. 3'x5' polyester flag with white header and two grommets. Flags have four rows of stitches on the fly and two rows on the top, bottom, and header side. Image is screen printed and appears on both sides. The Triskele design was adopted from Vikings. 3'x5' polyester flag with white header and two grommets. Most flags have four rows of stitches on the fly and two rows on the top, bottom, and header side. Image is screen printed and appears on both sides. The ensign is used by civilian British ships since 1801. 3ft. by 5ft. polyester flag with white header and two grommets. Flags have two rows of stitches on the fly and two rows on the top, bottom, and header side. Image is screen printed and appears on both sides. 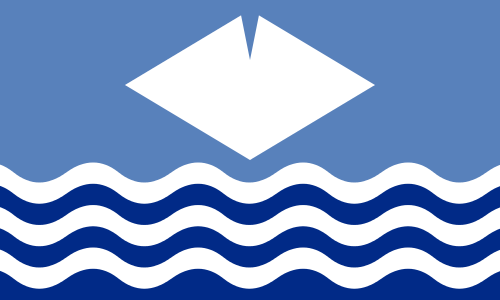 The Isle of Wight was the second most populated island of the United Kingdom.